In the world of law, if you aren’t continually attracting new clients, your firm is in serious trouble. However, how can you keep getting new leads and generating new clients? At Attorney Business Consulting, the nation’s premier law office management firm, we want your firm to be as successful as possible. 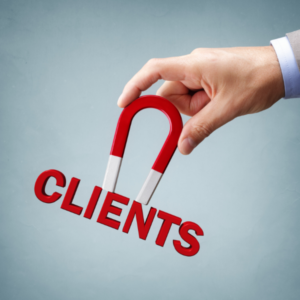 That’s why we’ve compiled this list of helpful ways to get new clients for your law firm. There is no better way to get new client referrals than by taking great care of the clients you already have. After all, if your current clients are satisfied with your services, they’ll be far more likely to recommend you to their friends, family, and colleagues. Always fight for every client you have. Going that extra mile to ensure that they are thoroughly satisfied with your firm is not only a great way to retain the clients you have, but also to market your firm to potential new clients. Using the media to your advantage is a trick that can help you boost your profile locally, and attract new clients to your firm. By using the power of local media to become something of a “big deal” locally, you can leverage this exposure to become a local authority on legal matters relevant to your potential clientele. Perhaps you can reach out to a local radio station to become an occasional guest, or maybe write an opinion piece for the local newspaper. Becoming well known in your market is extremely helpful for attracting new clients – after all, who doesn’t want to work with someone who is considered an authority on their particular case? Referrals are the life-blood of any law firm. Word of mouth is quite possibly the best tool in your arsenal when it comes to gaining new clientele. One of the best ways to get new clientele is to leverage the clients you already have. Moreover, one of the best ways to do this is by incentivizing their referrals. By setting up an incentivized referral program, such as the one offered by ReferralCandy.com, you can create unique rewards for clients who refer their friends and family to your firm’s services with unique – and shareable – links. You can also add helpful widgets to your website, meaning your program will be front and center on your site for all to see! Podcasts are all the rage nowadays. Targeted podcasts are an excellent – and efficient – way to connect with thousands of potential clients. By podcasting, you can let your potential clients get to know you – and hopefully, like and trust you. Studies have shown that interviews on podcasts are 25 times for successful at converting prospective clients into customers than other forms of traffic. Even more impressive is that podcasts have an average return on investment of nearly 600-percent over email marketing! The importance of blogging is something we have covered in detail before, but it cannot be covered enough. Blogs may seem like little more than a few posts that may entertain your visitors, but they are a critical tool in getting eyeballs on your site. A well-written and curated blog section can be one of the most essential tools in your web marketing arsenal. Blogs are great at showcasing your value to potential clients by establishing your experience, knowledge, and services engagingly. A well-written blog can also drive business to your site through careful SEO research. By optimizing your blog posts using search engine optimization techniques, your posts – and your website – can rank higher on search engines like Google, meaning your site will get exposure to a much broader audience. Bragging may not be in your nature, but publishing your successes is a fool-proof way of getting your name out there and attracting new business. If you’ve just won an unusually large settlement for a client, or perhaps have been busy recently, why not promote it to let others know that you mean business. After all, no one else is likely to shout about the achievements of your firm unless you do it yourself. Press releases are an excellent way of getting your name out there and publicizing your successes. If you can get your release picked up by a few news or industry sources, you can get your firm’s name out there as a heavy-hitter whom people can count on. Today’s world simply doesn’t stop at 5 pm. This is especially true in law, particularly criminal defense law. Since you never know when a lead may come in, being available 24/7 is critical to the success of your firm. In fact, research shows that 80-percent of callers who are sent to a voicemail system merely hang up. Even worse, 85-percent of those callers never bother to call back. By having 24/7 caller support, you can make sure that you aren’t missing any leads. With the wide availability of information right at your fingertips, taking the time to do a little research before meeting someone they can go a long way to turning them from a potential to an actual client. 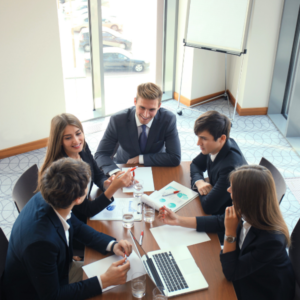 By understanding a little about their background, you can better connect with them and let them know that your firm genuinely cares about their needs. Need Help With Your Firm? We’re Here to Help! Now that you have a few helpful ideas about attracting new leads to your firm, it’s time to put that knowledge into action. At Attorney Business Consulting, we’ve helped hundreds of lawyers take the next step in growing their firm – and we’d like to help you, too. As the premier law office management consulting agency, we can assist with every aspect of running your firm. Contact us today at (339) 337-2655 for a free consultation. Should You Use Social Media for Your Law Firm? Yes! 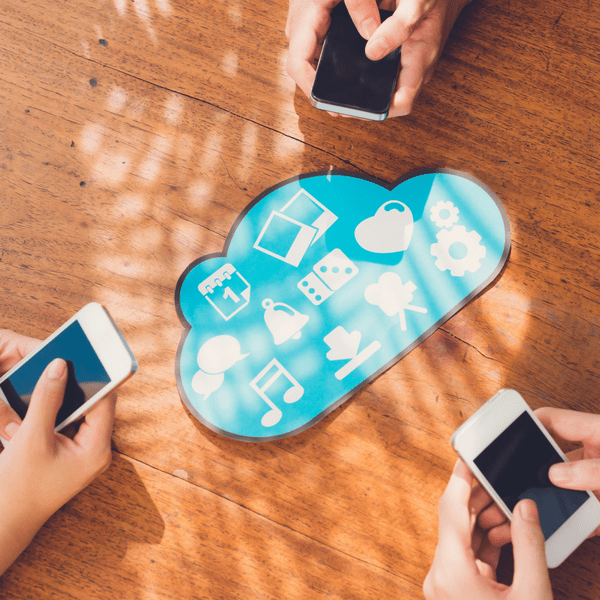 While the world of “likes,” “follows,” and “retweets” may seem like it has nothing to offer to the legal realm, social media platforms give lawyers and law firms a valuable opportunity to interact with the users on an unlimited scale. Whereas most interactions with clients (potential or otherwise) are typically done one-on-one after arranging multiple correspondences, social media is spontaneous and allows you to proactively reach out to the community, rather than waiting for interested parties to come to you. The experienced experts of law firm consulting have taken the guesswork out of social media for lawyers by creating a simple guide to choosing the right social media for your law firm needs. 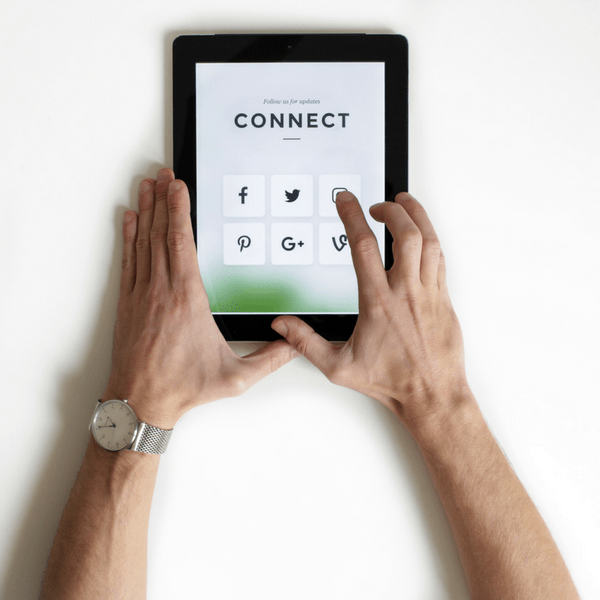 The key to maximizing the benefits of social media for your law firm is to identify the specific goals you want to achieve and pairing that with the best platform for that purpose. Use LinkedIn to showcase yourself as a thought leader and create valuable connections with other professionals. Don’t limit yourself to only connecting with other legal professionals. Reach out to people in all sorts of trades and aim to establish relationships that are mutually beneficial. As a bonus, you may get valuable backlinks out of these connections. Create a network of professionals who agree to routinely link to each other’s websites (when the content is relevant) and boost your website’s credibility as well. Twitter’s microblogging platform is great for encouraging real-time interaction between your law firm and the public. 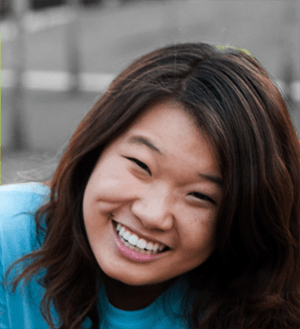 Use this social media channel to facilitate discussions, answer questions, and, overall, be active within the community. Utilize hashtags to discover new audiences and be found by them in return. Regardless of public opinion about this sometimes controversial platform, Facebook has proven to be an integral part of many users’ social media experience. Whether people search for your name or your business, most people expect to see a healthy and regularly updated news feed to indicate that a business entity is open and operational. Use this platform to push your business’ updates such as blog posts, successful cases, or introducing new staff. Being active on your social media platforms is a great way to showcase your knowledge and credibility in your field, but indicates something much more important to a potential client. Partaking in social media shows that your law practice is active and offers many means by which to be reached. Clients want a legal representative who is communicative and available just as much as they would desire a winning track record. Having an active social media presence is the virtual “Open for Business” sign that hangs on your digital storefront. Make the best first impression possible and contact the experts at Attorney Business Consulting today for your free consultation. With 70% of attorneys using some form of social media, the stakes for social success have never been higher. Gone are the days when having a Facebook profile put you ahead of the curve. Today, the name of the social media game is innovation and authenticity. Keeping that in mind, here are our top three techniques to boost your social media presence. 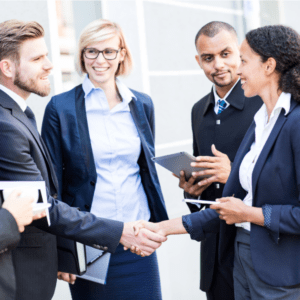 These aren’t guaranteed to work for everyone, but for the attorneys savvy enough to pull them off – you’ll find yourself sitting on a goldmine of new clients. If you need help taking your social media marketing to new levels of success, contact Attorney Business Consulting today. We turn successful lawyers into successful business owners. Optimize your videos for mobile viewing. This means making sure sized to the right dimensions (1:1 or 2:3), have captions, and have a compelling first scene to capture scrolling audiences’ attention. Go live. With 20% of all Facebook videos live streams, it’s time for you to go live. 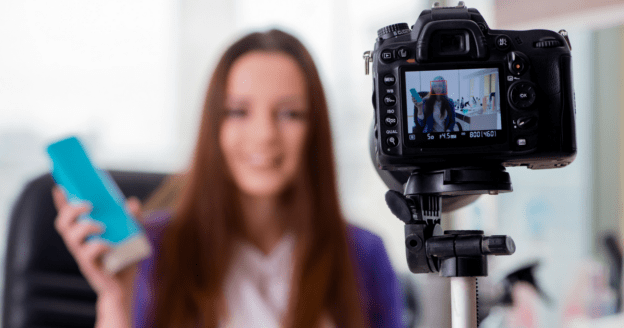 This doesn’t mean set up a complicated video shoot, but rather give your audience a behind-the-scenes look into your office once a week. Put some money into boosting your video posts that do well. Not only will this help your ad spend go further, but you’ve already identified content your audience wants to see. Create Lookalike Audiences. This is simple, though it can be overwhelming to do at first. Give us a call today at <a href=”tel:3393372655″>(339) 337-2655</a> to set up a one-on-one consultation! Make sure to follow those techniques to boost your video social media presence and you’ll see some serious results. Many attorneys and law firms have confused social media marketing and advertising. While the two are similar, one relies on inbound marketing while the other relies on throwing your message at the screen and seeing what sticks. Sure, you can focus on the latter, but that isn’t the most tactical choice. Rather, you should take an inbound approach. This means a few different things, but for today we’re only focusing on creating authentic connections. Think about how your social media newsfeed is structured. What do you stop to read? What resonates with you? 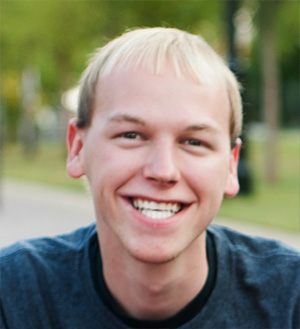 The posts, videos, photos, and links that are real. If you can provide your audience with the same, you’ll begin creating strong brand affinity. Our number one tip for creating authentic connections is to avoid promoting yourself. This doesn’t mean you should never post a “call us today” piece of content, but rather that you should post nine other pieces of content first. 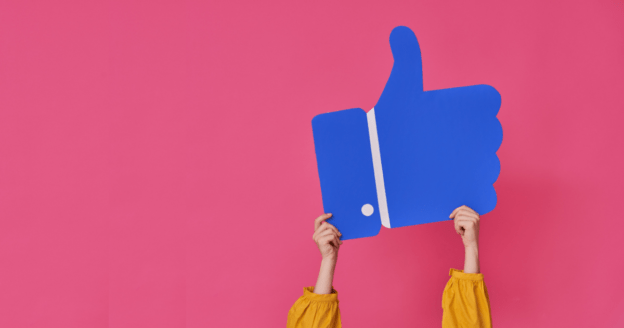 While we were just extolling the virtues of Facebook’s video audience above, there are other social channels you should be using. Some of these are the obvious culprits like Twitter, Instagram, LinkedIn, and Pinterest. Some, though, aren’t quite as obvious. While these might not seem like the best use of your marketing time and money, using them properly can help you build a substantial audience. The key word is properly. That means taking the authentic connection advice from above and increase it exponentially. You’re not on Reddit to promote yourself. You’re there to answer questions from people seeking legal advice. You’re not on Quora to sell yourself. You’re there to provide value to people who need an expert (and free) legal opinion. Follow these guidelines and these people will remember you down the line when they need an attorney. Call Attorney Business Consulting now at (339) 337-2655. We’ve been helping attorneys turn social media stress into social media success for years. Find out how for yourself today!